For the majority of those with persistent oily and greasy hair problems, it's either hereditary or it's caused by a hormonal imbalance (especially during a woman's menstrual cycle). Oily hair can also appear suddenly which could be the result of using too much or the wrong type of styling product which simply builds up over time. There are few things you can do to combat and stop oily hair. For everyday use look for shampoos that contain no strong detergent like sodium laureth sulfate. You'd think that using harsher detergents would rid your hair of oil faster, but this is not always true. 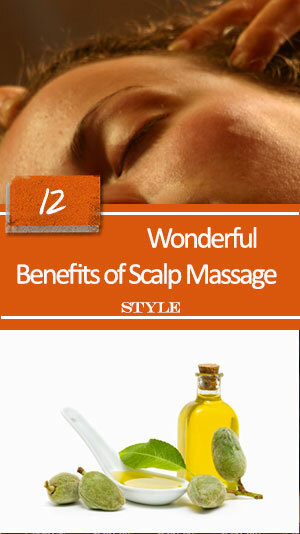 These will only dry the scalp and increase itchiness, and actually cause more oil production. However, if you used an oily or greasy product by accident or you experienced a sudden change in your hair, it could have happened in a in working environment or from the incorrect use of conditioner. Clarifying shampoos are a good start but if it didn’t work then you need to use a strong detergent with SLS to remove the oil (as discussed here) and once done, condition your hair back to normal and continue using your everyday shampoo. Ladies: Watch for colored hair, because strong shampoos can fade your hair color. If you have naturally dry and frizzy hair but an oily scalp then you should use a clarifying shampoo to cleanse your scalp. You can still continue applying mild conditioner to your hair, but be sure to only apply the shampoo from to the hairs’ ends up to the middle, and avoid the scalp. (You will be surprised to know how many oily hair experiences caused by hair conditioners!) Otherwise using a conditioner is not highly recommended. Jojoba oil – Because it contains many of the properties found in sebum, the oil our skin produces naturally, this ingredient helps reduce dryness caused by harsh detergents by replacing the lost sebum. Indians used Jojoba oil to treat their skin and hair problems. Rosemary oil – This is a great scalp cleanser and hair root stimulator. Tea tree oil – It’s gentle, it works to strip excess oil, and it helps fight dandruff and bacteria. Sage – This helps to dissolve built-up deposits of oil and can also make hair shafts thicker. 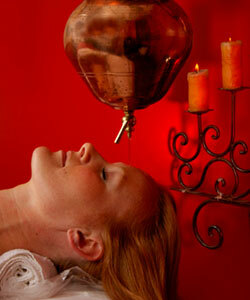 Eucalyptus – Helps bring the scalp back into balance by regulating the production of sebum. Relieves and reduces inflamed skin, too. Chamomile – This will enhance the hair’s shine and intensity. Chamomile is not recommended for color treated hair, unless you like to lighten your hair color. If your hair has highlights, products with a lot of chamomile may further enhance those highlights. Some other everyday ingredients that help control greasy hair include aloe, egg whites, menthol, sorbitol, kaolin, citric acid and/or citrus, and starch. Once you’re finished washing and conditioning, you can apply hair care products, as long as you use those formulated for your hair in small amount. These help reduce the transfer of oil from the scalp to the hair, which keeps excess oils off the hair and encourage a nicer type of shine and make hair easier to style. Your neither benefits from products that contain extra moisturizers made from glycerin and silicone, nor from a healthy application of a serum, or of a cream or lotion-based product. Certain styles spread the greasiness faster. Flat pixie or sleek back styles are not always a good choice for those with oily hair. If sebum glands tend to produce more oil than usual then with these style choices hair absorbs and spread the oil more quickly and become greasier. 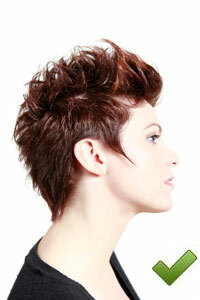 Adding more volume, body and texture or making hair spikier helps to prevent the spread. To create spiky look use small amount of non-greasy hair wax on ends for control and definition (such as Bumble and Bumble Sumowax) rather than liquid lotions. You can also use dry shampoo and let it to absorb the excess oil. Badlands Dry Shampoo Paste or similar products is a good example. Let your scalp have room to breathe! Here you can create your own blog page for discussion or share your advice and insights on oily hair issues. Your text/story will appear on a Web page exactly the way you enter it here. You can wrap a word in square brackets to make it appear bold. For example [my story] would show as my story on the Web page containing your story.